Hello, my name is Adrian Chambers and I deal with Court of Protection matters. 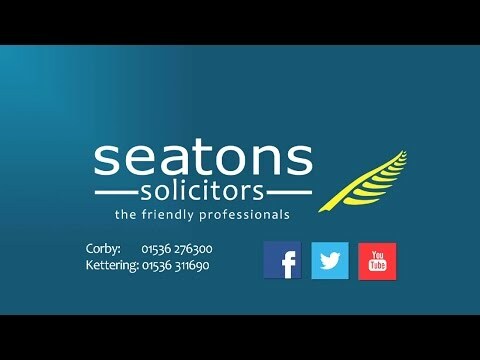 If you need to make an application to the Court of protection on behalf of a loved one then Seatons can help. If you need to apply to the Court of Protection to act as someone’s deputy to make decisions on their behalf, you should be aware of the procedure which we have set out below. To begin the procedure medical evidence should be obtained. The Court will not accept responsibility without medical evidence in the required form. The required evidence is submitted to the Court using the COP3. A medical practitioner completes the COP3 – usually the individual’s GP or a psychiatrist. A psychologist could complete the forms if appropriate. Once the medical evidence has been obtained, there are then other forms to complete. These provide details about the type of order being asked for, detailed about the person applying to be appointed as Deputy and details about the person who lacks capacity. There are fees involved in the process. The medical practitioner may charge a fee for completing the COP3. The Court charges an application fee of £400 and there is an appointment of Deputy fee of £125. There is then an annual supervision fee from £0 to £800 but the usual amount is £175 per annum. The Deputy is required to take out a security bond to cover their role as a Deputy which is payable annually. The amount is set by the Court and depends on the number of assets the individual who lacks capacity has. There are then legal fees to be paid. There is a lot of work involved in the application and we can set out our fees in a clear and concise way from the start. The fees are paid by the assets of the person who lacks capacity. Once the application has been sent to the Court, it usually takes 2 or 3 months for someone to be appointed as Deputy. There can be delays due to medical evidence. Ultimately it is the Court who decides whether someone has capacity. It could be that a solicitor has been instructed to create a Power of Attorney but has suspicions that the client does not have capacity and will seek advice from a medical professional. If the medical evidence states that person lacks capacity then the Court will find this most persuasive for the appointment of the Deputy. If it is an emergency situation, these will be dealt with within 24 hours.